Why Choose Top Down Bottom Up Shades? If you’re in the market for new window treatments, you have plenty of options to choose from—especially if you narrowed your decision down to shades. Modern shades can be customized to fit virtually any size window, and there are varieties available to fit any budget and home décor style. When it comes to options, some of the most common and popular choices include cordless, light filtering/blocking, blackout liners, cassette valance, and top down bottom up. Top down bottom up is quickly becoming one of the most popular options among all window treatments. As the name implies, shades that are built with a top down bottom up option can be raised from the bottom and lowered from the top, making them extremely versatile and perfect for a wide range of rooms and lighting conditions. They protect your privacy with still letting sunlight into your home. Many homeowners want to fill rooms with beautiful unfiltered sunlight, but completely raising their shades can leave them feeling exposed and vulnerable—especially if their windows face a busy street or their homes are built close to other homes in their neighborhoods. Top down bottom up shades make it easy to get the best of both worlds. Keep the bottom portion of the shade pulled all the way down to protect your privacy, and lower the top portion of the shade to let in beautiful natural sunlight. They protect your floors, your furniture, and your skin. Another concern that many homeowners have is the effect that constant harsh sunlight will have on their floors, their furniture, and even on their health. In addition to reducing or even eliminating your privacy, standard shades that are in a fully raised position also expose everything in the room to the sun’s UV rays. But top down bottom up shades can be adjusted to keep the sun’s rays off your floor, your furnishings, and your skin, eliminating harsh UV rays and harsh glare and filling your home with soft light instead. They feature a variety of operation methods. Top down bottom up shades don’t limit you to a single operation method. 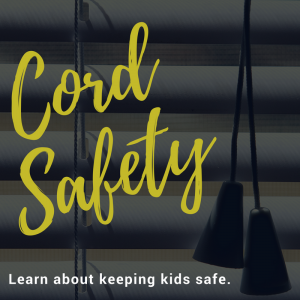 Whether you’re a fan of standard pull cords, continuous cord loops, or cordless operations, you’ll be right at home when you choose shades built with a top down bottom up design. 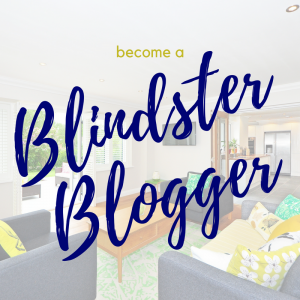 Many people who purchase top down bottom up shades from Blindster choose cordless operation to complete their shades’ hands-off and “built-in” look, but these highly versatile shades work extremely well with standard cords and continuous cord loops as well. They add an interesting design element to any room. An often-overlooked perk of top down bottom up shades is that interesting look they create in rooms—especially when there are several installed in a room with many windows. 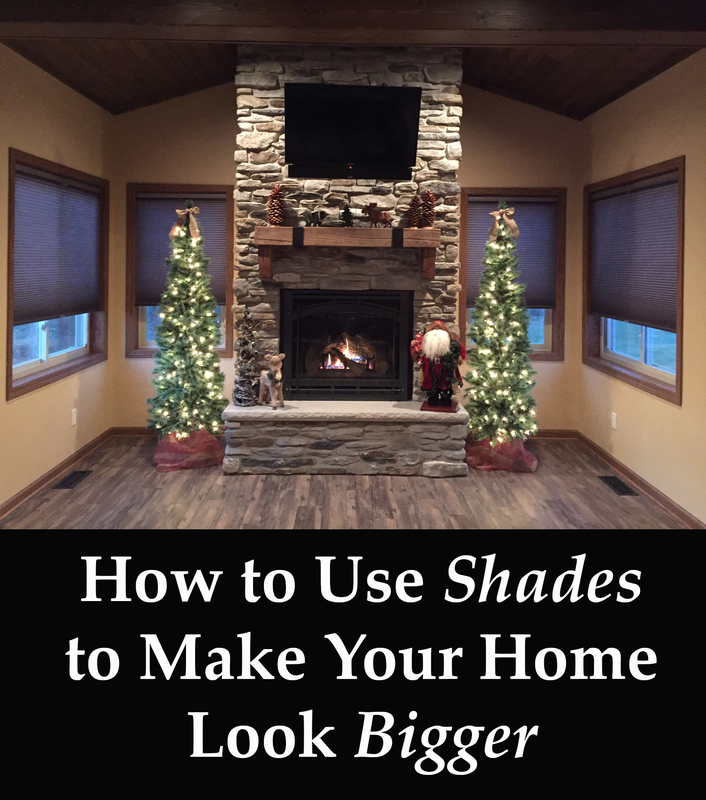 Because top down bottom up shades can be raised from the bottom and lowered from the top, you’ll have tons of possibilities when it comes to arranging their orientation on your windows. A staggered pattern where no two shades are oriented the same adds a striking look to living rooms, dining rooms, and sunrooms. They are an option for many of our most popular shades. Love the idea of top down bottom up shades but not sure what variety of shades you want? Choosing this option won’t limit you when you’re deciding on window treatments that are perfect for your home. In addition to being available in a huge number of colors and patterns, our entire Premium Roman Shades selection is available with a top down bottom up option. 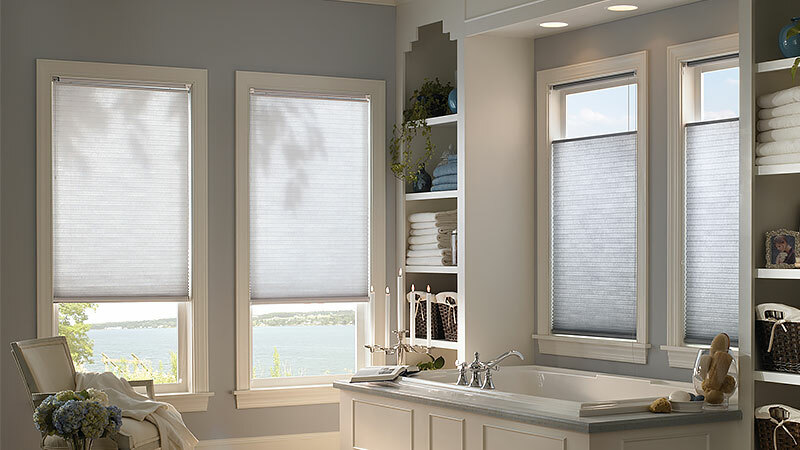 It’s also an available option for many of our cellular shades, with our Deluxe Cordless Top Down Bottom Up Shades featuring the option free of charge. If you’re looking for a natural and eco-friendly choice, you can’t go wrong with our bamboo shades, while our pleated shades are perfect to fill your home with beautiful filtered light. You mentioned that a perk to having shades is the design that they create in rooms. It makes sense that this would tie a whole room together! I just moved into a little house, and I feel like getting roller shades would be a great option because it would compliment my other decor and give me some privacy.